Oil paintings depicting the Italian and Swiss countryside grew in popularity in the first half of the 19th century. They appealed particularly to collectors such as John Sheepshanks (1787-1863) and the Reverend Chauncey Hare Townshend (1798-1868). Italy had long been recognised as a fertile source of themes for paintings and many artists travelled there in the 19th century. 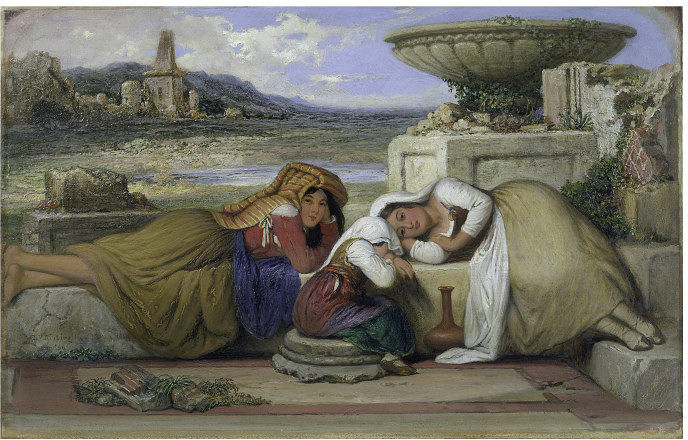 Italian beggars or 'mendicants' of the Roman Campagna (the countryside around Rome) looked very picturesque in the eyes of British artists, especially if the Italians were young, female and pretty, as here. Their colourful costumes and the beauty of the Italian countryside made a most attractive subject, especially as the darker aspects of poverty were not shown. 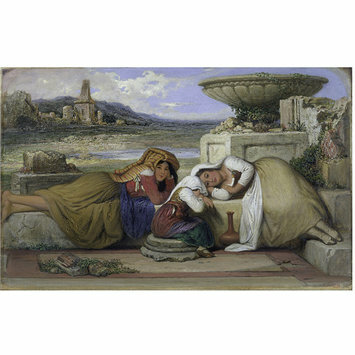 Rippingille exhibited this painting at the Royal Academy in 1844. According to a note on the back of the picture, he was furious to find that it was hung by the organisers virtually at floor level, so that the public were unlikely to see it. Nevertheless, John Sheepshanks noticed it and bought it directly from the artist. Rippingille claimed to be the first person to advocate the establishment of the Schools of Design. 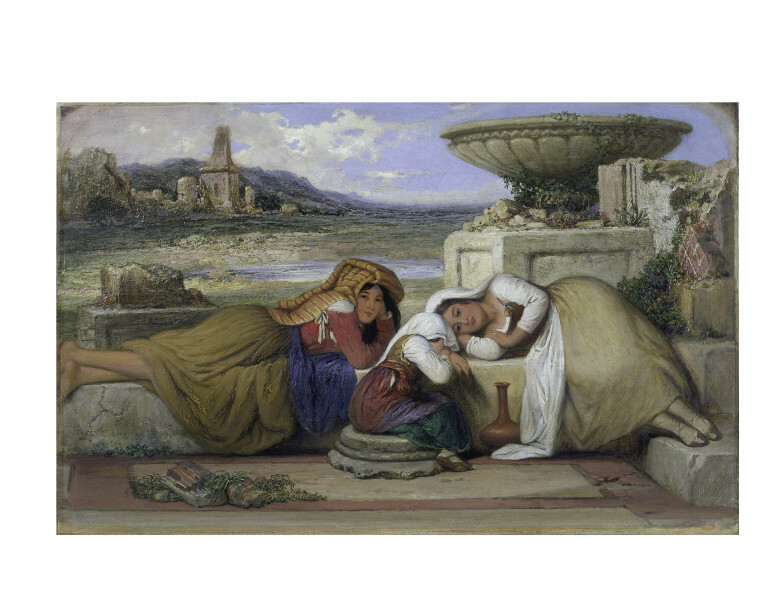 Oil painting entitled 'Mendicants of the Campagna' depicting two women and a child, mendicants or beggars, reclining in the setting of a classical ruin. Oil painting entitled 'Mendicants of the Campagna' by Edward Villers Rippingille. British School, 1840.